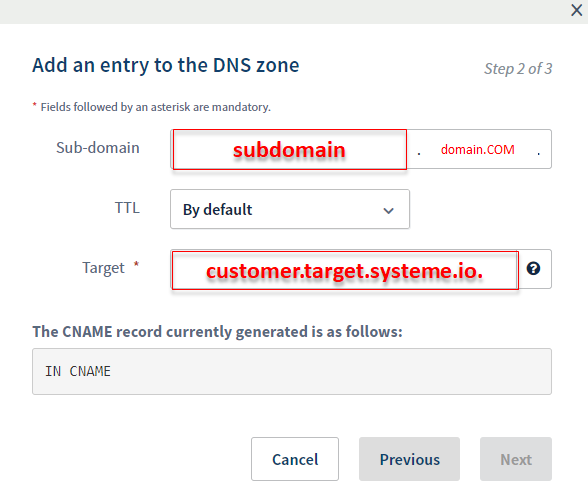 NOTE: a CNAME record can only point to one destination, so if you do wish to use a Subdomain for your funnels, please bare in mind it will ONLY point to your funnels and not to an external website. Click " Add entray "
Enter your Subdomain into the Name input (remember, you can make any word your subdomain). Enter customer.target.systeme.io. as the value. 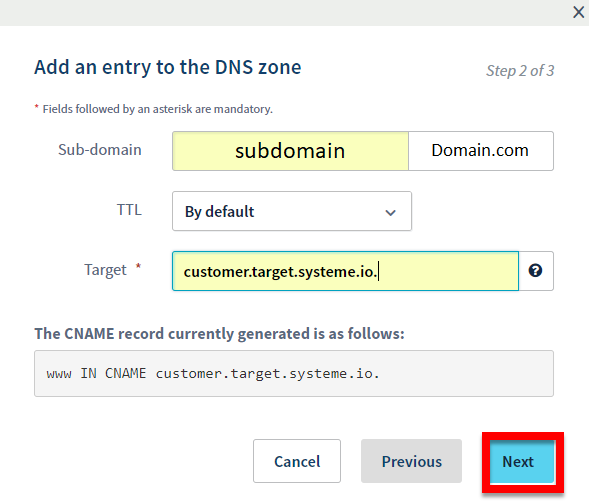 From within your systeme.io menu settings, select " Custon Domains "
Click " Add Domain "
NOTE: it can take FEW hours for subdomain to be approved .